We petitioned for recycling on campus, fought for funding, didn't take no for an answer, and succeeded! Now the need to inform people how to recycle and why it's important was addressed! 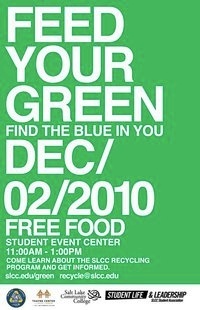 Feed Your Green brought in over 400 students!